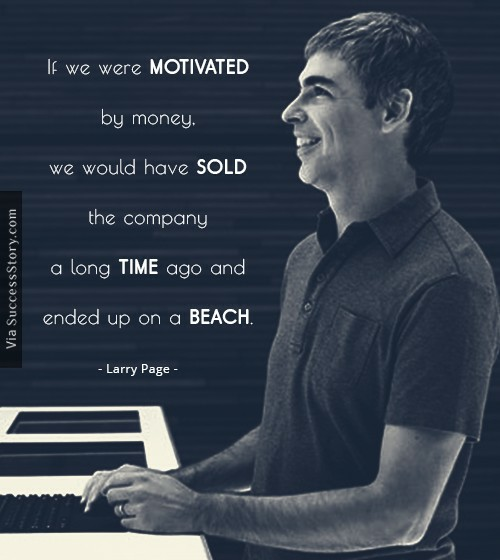 Larry Page , Google CEO, is driven by a fierce, relentless ambition. He is notoriously unsatisfied by ideas that don't push technology. 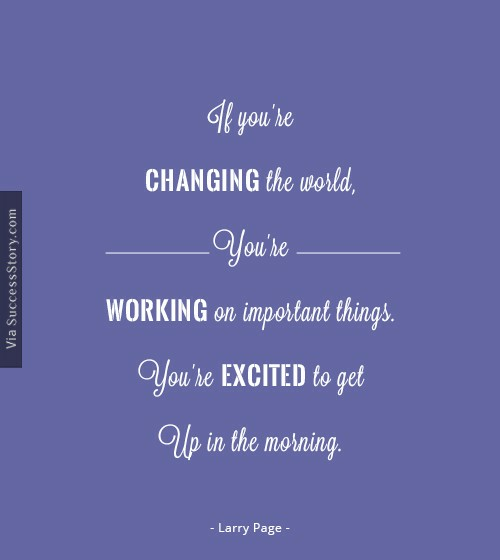 What Larry says on making a difference , he says that there is a one sentence summary of how you change the world . Always work hard on something uncomfortably exciting. You have to combine both things: invention and innovation focus, plus the company that can commercialize things and get them to people. 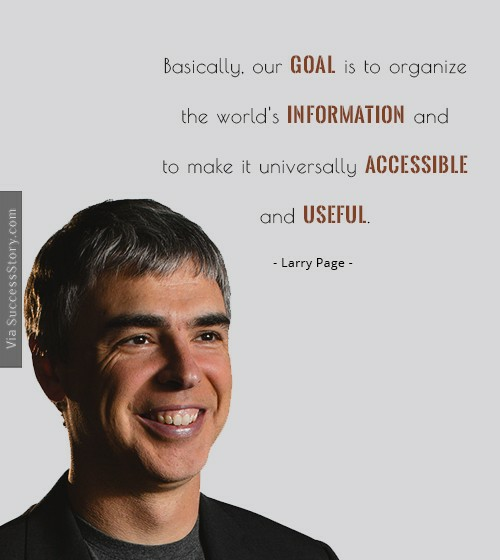 "Always deliver more than expected"
"Basically, our goal is to organize the world's information and to make it universally accessible and useful"
Larry is of opinion that lots of companies don’t succeed over time. They are fundamentally wrong. They usually miss the future. 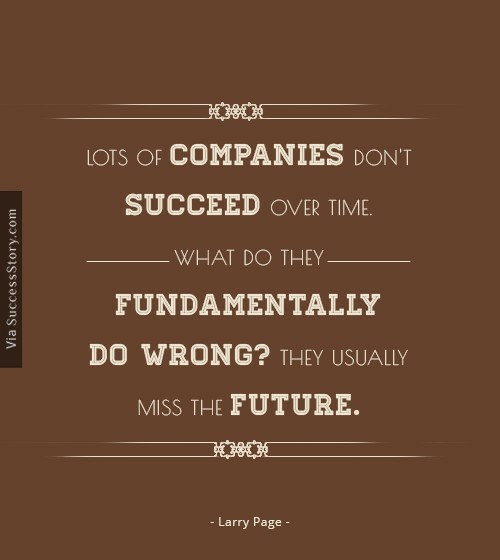 I try to focus on what is the future really going to be and how do we create it , and how do we power our organization to really focus on that and really drive it at a high rate. Understanding the motto and motive behind these thoughts make the words really interesting . He has always said that robots cannot replace humans nor is money a motivation behind the efforts that we all collectively put in. 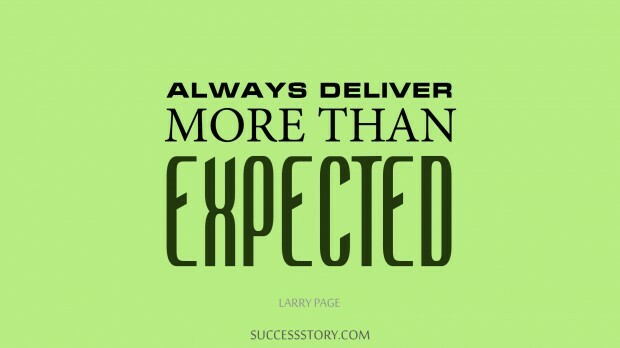 Here is the real plan , Larry’s job as a leader is to make sure everybody in the company has great opportunities, and that they feel they're having a meaningful impact and are contributing to the good of society. Deep knowledge from your manager goes a long way toward motivating you. We do benefit from the fact that once we say we're going to do it, people believe we can do it, because we have the resources.